The long-haul airline brand has been launched by British Airways’ owner International Airlines Group. 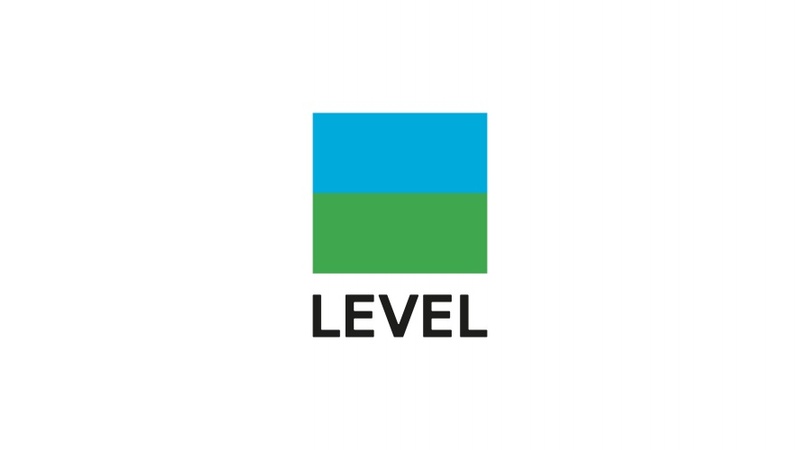 International Airlines Group (IAG) has launched a new low-cost, long-haul airline brand called Level. 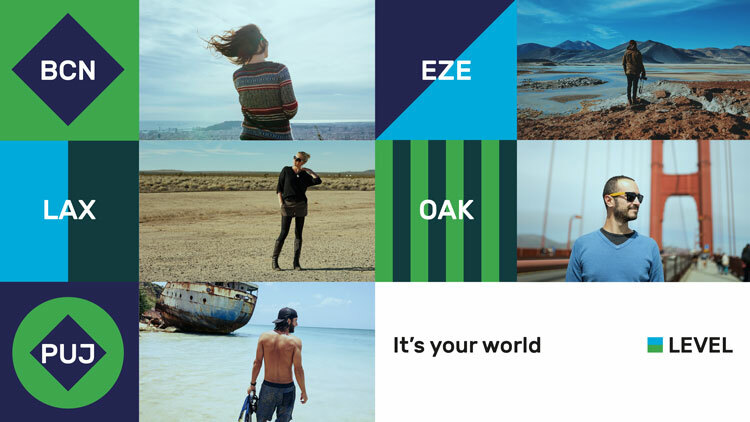 Brand consultancy Brand Union has designed the visual identity and livery for the budget airline, which is aimed at people who have “seen the world on screen” having grown up with the internet and now “want to see it for themselves”, says IAG. 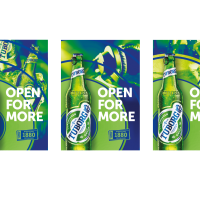 Brand Union says it took a “minimalist” approach when creating the identity, which features a simple, sans-serif logotype that appears in capital letters and a square-shaped logo, half of which is bright green and the other half bright blue. 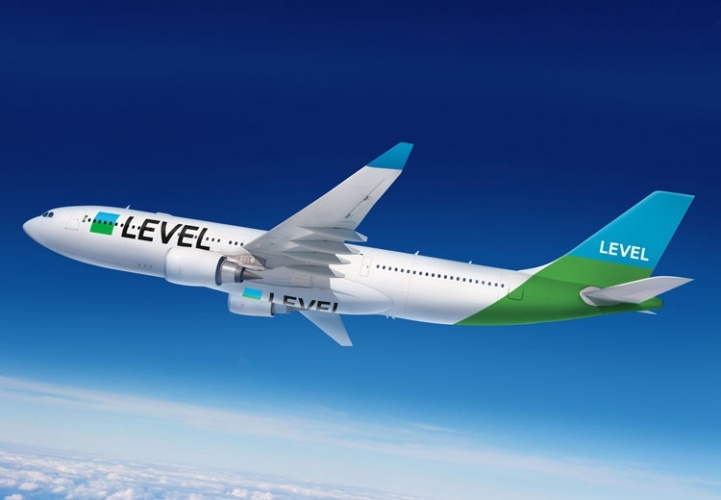 The bright green and blue colour palette is also carried through to the plane exterior, with the blue being applied to the tips of the wings and tail, as well as both being used in Level’s marketing and communications materials. 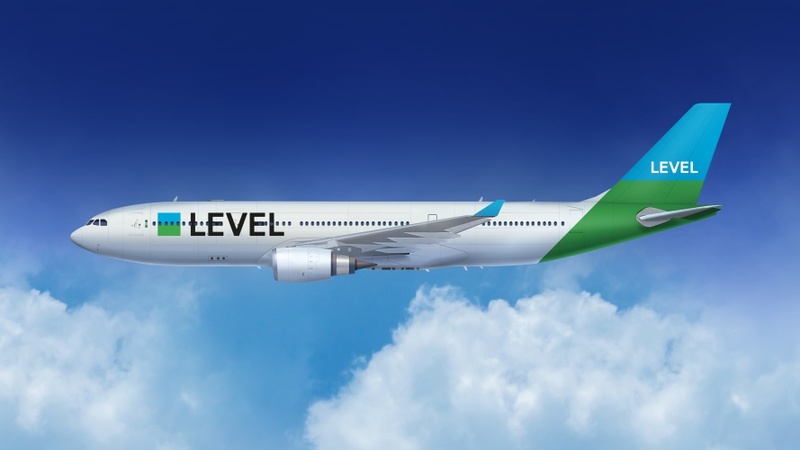 Level will fly two new Airbus A330 aircrafts branded in its own livery and fitted with 193 economy and 21 premium economy seats. 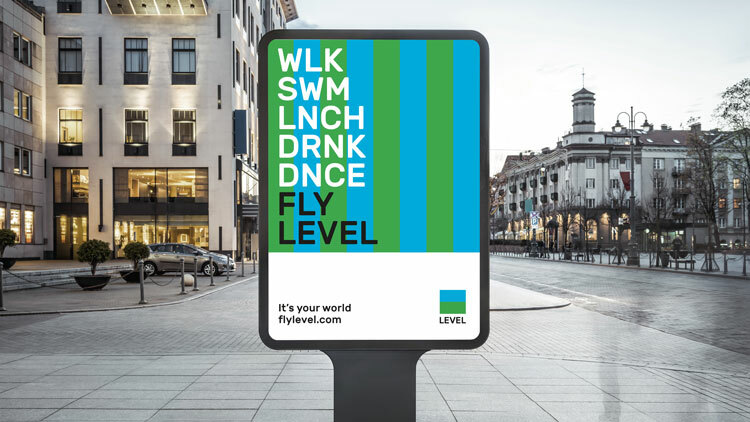 IAG CEO Willie Walsh says that Level aims to bring a “stylish and modern approach” to flying, at prices that are “affordable”. 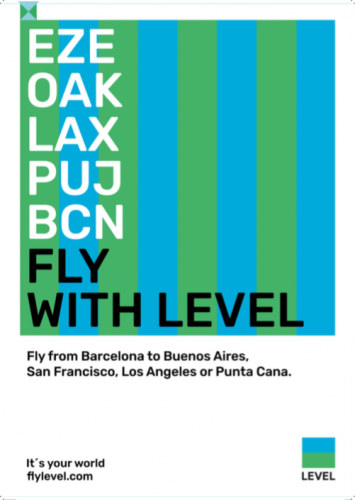 It will sit alongside IAG’s five other airline brands, including British Airways (BA), Iberia, Aer Lingus and Vueling. 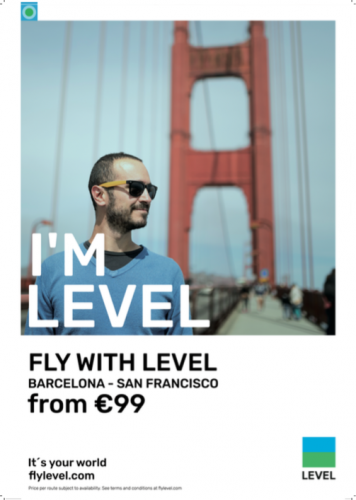 Level will launch in June 2017 with flights from Barcelona to Los Angeles, San Francisco, Buenos Aires and Punta Cana, and will look to expand its flights to other European cities. Very underwhelmed by this identity particularly the rationale that went with the article. Particularly after the other great airline liveries that have been rolled out in the last few years. Sounded like it was aimed at people who have never flown or been to an airport before. Not quite sure what ‘minimalist’ means in the context of the design or what ‘affordable’ is in terms of ticket prices. As in affordable housing? Ironically the marketing and advertising applications are more exciting.